to the FAXmodem when you wanted a hard copy. rest is automatically taken care of. 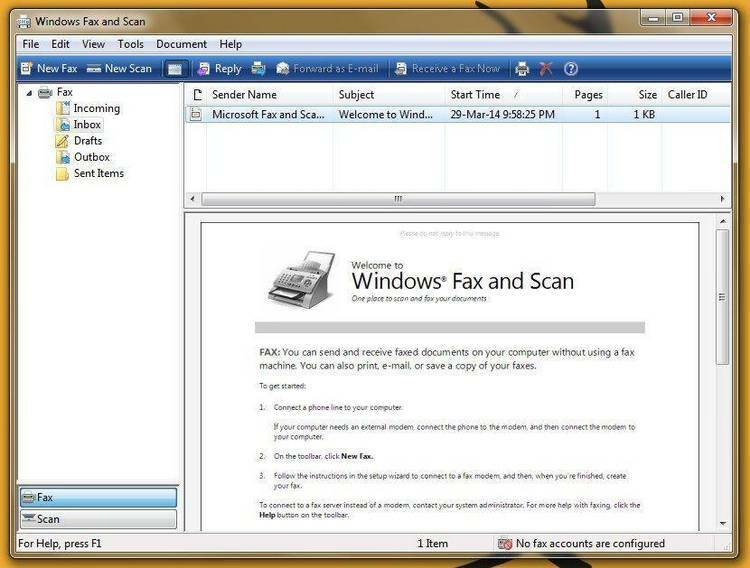 Program to make faxing even easier from Microsoft Word for Windows. Ed Obeda 1993. All Rights Reserved. Portions Microsoft, All Rights Reserved. gotobutton history History. . .
You may scan through the User's Guide "normally" (sequentially), the same way you might read any other document. But what makes this User's Guide special is the ability to instantly and automatically jump to anywhere else in the document. DocCruiseSYMBOL 228 \f "Symbol". Look for his book Hacker's Guide to Word for Windows which he co-wrote with Vincent Chen for a source of detailed information on WordBasic. These routines have been created to make your FAXmodem easier and more user friendly to operate. One of the major draw-backs to the FAXmodem while being used under Windows is that you have to remember to swap the "default printer" back and forth when alternately printing or FAXing documents. Occasionally you might forget and cause a document to go to the wrong device. Even the most experienced user has had this happen, but for the new user... it's dramatic and confusing. To eliminate this confusion, I have extended the capabilities of the FilePrint macro supplied by Microsoft to include automatic control over the output devices. You just have to point-and-click on the output device and the rest is automatically taken care of. You can even choose to FAX and Print the document without having to go back to the print menu twice. Below you will find step by step installation instructions, but first a little bit of legal stuff. "The FAXmodem Support System" is a gotobutton shareware shareware product conceived by Ed Obeda. There is a small fee charged for the extended FAX controlling features added, no funds are collected for the basic print macro supplied from Microsoft. See the gotobutton License License Agreement for more details. System Requirement: Microsoft's WinWord 2.x. and a Windows supported FAXmodem with software, such as Delrina's WinFAX Pro, Alien's FAXit, BitFAX for Windows or Eclipse FAX ( and more ). Previously, if you wanted to FAX a document you would have to run the "Print Setup ..." option and change the default printer to your FAXmodem. Then to print that same ( or different ) document, you had to remember to change the default printer back. This is a time-consuming and error prone procedure, just to send a FAX. The routines that I have added, allow for the automated "swapping" of devices, between your true default printer and your FAXmodem. When you press the "FAX" button the system automatically changes the Widows output device to the FAXmodem ( declared in the configuration steps above ), then sends the output to that device. Once completed it resets the Windows default printer back to the original device ( your printer ). No longer do you need to remember if you set the default printer back again. The "FAX & Print" option ( registered users only ) allows even more productivity gains, you just press that button and automatically your document is setup to be FAXed, once FAXed and without any further user input the document is also sent to your true default printer, for a hard copy. All in one step ! At the end of this section you will find the gotobutton installButtons installation buttons, but please read through the complete section prior to attempting to install the macros, for best results. 1) For risk management reasons, it is recommended that you backup your Normal.dot file prior to any installation. To backup the file, close WinWord. Then use the File Manger and copy the NORMAL.dot file to NORMAL.BFF ( BFF= "BeFore FAX") (Due to limitations within WordBasic, you will have to do this manually). The file should be located in your WinWord sub-directory. 2) After re-starting WinWord, close all open documents. 3) Using the File / Open command from the menu bar, Open this INSTALL.doc file (again). 4) Read through the document and press the "Install Button" to add the FAX Support System macro to your system. NOTE: If you already have a print macro called FilePrint it will be saved ( in case you have problems). It will be renamed to FilePrintOLD. Most users will not have a previous FilePrint macro, so no backup will be made. 5) After the macros are copied to your machine, you will be prompted for your registration information. Please complete the information at this time. Printing the registration document will make it easier to complete the registration process after you have used the macros and find that you can't live without them... well almost ! NOTE: The registration charge is for the extended FAX controlling features added, no funds are collected for the basic print macro supplied from Microsoft. 6) Upon completing these steps, WinWord will perform an EXIT, thereby saving the new macros. When you start WinWord the next time you be need to go through a short ( one time only ) configuration process and then .... have fun !!! 1) Make sure that your FAXmodem and FAXmodem software are installed and working correctly. 2) Set your commonly used PRINTER as the default printer. Use the Control Panel to change the setting, if required. 3) Open WinWord and select the "Print or FAX" option from the File Menu. The new dialog box will appear. Along with the FAX options, some user may not have had the other print range and odd-even options before. These are options that Microsoft had included in the version of FilePrint, that I used to build my extensions. .. Thank you Microsoft. 4) Look for the "Configure FAX" button in the lower right corner of the dialog box. Press the button. After a prompt the Control Panel will activate. Change your default print to your FAX device, and close the window. Exit the Control Panel. This will return you to WinWord. Note: The title bar to WinWord will be flashing, when you are in the Control Panel. This is normal ( for this installation ) and should not give you any concern. 5) The system is now configured for your FAXmodem, review the gotobutton features Features Section to gain a basic understanding of how these macros work. The FAXmodem Support System is a gotobutton shareware shareware product. Registered users of this software are entitled to a number of advantageous benefits. If you like this program and find it useful, you are requested to support it by sending us your registration fee ( see the gotobutton License License Agreement ). When you register the FAXmodem Support System we'll send you a copy of the latest version of this software ( if required ) and a registration number to make the "nagware" go away AND allow you access to the FAX & Print option. SYMBOL 183 \f "Symbol" \s 10 \hUpdated to the latest version ( if required ). SYMBOL 183 \f "Symbol" \s 10 \hReceive announcements about improvements and other points of interest. SYMBOL 183 \f "Symbol" \s 10 \hGain access to the FAX & Print Option, so you can press only one button and have the document FAXed and printed. to gain these valuable features !! Your FAXmodem shows up as your Windows default printer upon starting WinWord: The routines presented here assume that the Windows default printer is set correctly prior to entering (or re-entering) WinWord. This allows you the flexibility have multiple printers and such. Use the Control Panel to correctly re-set the default printer. While working in WinWord you have a system crash or premature shut-down and now your FAXmodem shows up as your Windows default printer: If the FAXmodem macros did not get a chance to complete their functions the FAXmodem may be left as your Windows default printer because the macro did not get a chance to re-set things. Use the Control Panel to correctly re-set the default printer. What FAXmodems are supported by the FAXmodem Support System ? In theory any FAX device that uses the printer emulation technique. WinFax Pro, BitFAX for Windows, Eclipse FAX, and Alien's FAXit to name a few. I do not have a FilePrintOLD macro, what went wrong ? Did I loose any data ? No you did not loose any data. The FilePrintOLD macro will only be found on systems that previously had a FilePrint macro. Default configurations above 2.0 ( ie 2.0a or 2.0b ...etc ), did not have this macro. I can not use the FAX & Print option.. Why not ? Only registered users can access this option. Registration will fix this limitation. See the gotobutton order registration section for more details on registration. I want to remove these routines: A complete un-install routine has been supplied to assist you, if needed, in the removal of the FAXmodem Support System. Open the associated UNINSTAL.doc file for more details. The FAXmodem Support System is highly flexible. If you change FAXmodem products, or COM ports just re-run the "Configure FAX" options ( see the Configuration section above ) and the system will automatically adapt to the changes. While the addition of PCs to our lives have greatly improved many facets of our lives, the available options allow users to quickly create systems that have a high level of complexity. With this complexity comes issues of compatibility and combinations that the programmer may have not envisioned as the application was being coded. If you find that you are experiencing problems, the first thing to do is to be able to accurately explain what you are expecting to happen verses what is actually occurring. Next we need to understand a little about your configuration. The "de-bug" button below was created so you can double-click it and it will create a document with your configuration information. With your problem description ( what you are expecting to happen verses what is actually occurring) and a copy of the configuration information, we can work towards resolving your problems. Please also include a way for us to contact you, in case we need more information. Sorry if you have experienced a problem. Some users may want to add the FAXSupport System to individual templates, instead of the global:Normal.dot template that is used when selecting the automated installation routine. The following information is provided to allow you to accomplish that task. For risk management reasons, it is recommended that you backup your template file(s) prior to any installation or modifications. Double-clicking on the "manual install" icon will active the routines required to manually select the template to modify. Upon selecting this option you will be presented with a list of available template ( *.dot ) files from which to choose. Select the appropriate file and press OK to install the routine. The distribution and sale of this product are intended for the use of the original purchaser only. This product is only to be used as it was originally intended to be used. Lawful users of these programs are hereby licensed only to read the programs, from their media into memory (RAM ) of a computer, solely for the purpose of executing the programs on one machine at a time. Duplicating or copying for other than backup purposes, or selling or otherwise distributing these products is a violation of the law and this agreement. THIS PROGRAM AND DOCUMENTATION ( the "PROGRAM ") IS PROVIDED "AS IS" WITHOUT REPRESENTATION OR WARRANTY OF ANY KIND, EITHER EXPRESS OR IMPLIED, INCLUDING WITHOUT LIMITATION, ANY REPRESENTATIONS OR ENDORSEMENTS REGARDING THE USE OF, THE RESULTS OF, OR PERFORMANCE OF THE PROGRAM OR APPLICATION, ITS APPROPRIATENESS, ACCURACY, RELIABILITY, OR CURRENTNESS. THE ENTIRE RISK AS TO THE USE OF THIS PROGRAM IS ASSUMED BY THE USER. IN NO EVENT WILL THE CREATORS OR DISTRIBUTORS OF THE PROGRAM BE LIABLE FOR TORT OR ANY DAMAGES, INCIDENTAL OR CONSEQUENTIAL, DIRECT, INDIRECT, RESULTING FROM ANY DEFECT IN THE PROGRAM, EVEN IF THEY HAVE BEEN ADVISED OF THE POSSIBILITY OF SUCH DAMAGES. THIS DISCLAIMER SHALL SUPERSEDE ANY VERBAL OR WRITTEN STATEMENT TO THE CONTRARY. SOME STATES OR COUNTRIES MAY NOT ALLOW THIS DISCLAIMER SO THIS LANGUAGE MAY NOT APPLY TO YOU. IN SUCH CASE, OUR LIABILITY SHALL BE LIMITED TO THE REFUND OF THE PURCHASE PRICE OF THE PROGRAM. IF YOU DO NOT ACCEPT THESE TERMS YOU MUST CEASE AND DESIST USING THIS PRODUCT. The extended fax support features of the FAXmodem Support System and electronic documentation ( the "Software") are copyrighted 1993 by Ed Obeda, and are protected by United States Copyright Law and International Treaty provisions. All rights are reserved. The ORIGINAL PURCHASER ("You") is granted a LICENSE to use the Software only, subject to the following restriction and limitations. b) Destroy all copies, including all documentation and compressed versions of the Software. 2) The license is to the original purchaser only, and is not transferable without the written permission of Ed Obeda. Computer to another, provided that the program is used on only one computer at a time. 4). Back-ups: You may make copies of the Software solely for back-up purposes. You must reproduce and include any copyright notices on the back-up copy. b) Provide use of the Software in any multi-user environments where more than one user has access and use of the Software at any one period of time. c) Making alterations, translations or copies of any kind in the Software or documentation ( except as specifically permitted in the license). d) Attempting to disassemble, decompile, or reverse engineer the Software in any way. e) Granting sub-licenses, lease or other rights in the Software to others. 6) Terms - This license is effective until terminated. You may terminate it by destroying the program, the documentation and copies thereof. This license will also terminate if you fail to comply with any terms or conditions of this agreement. You agree upon such termination to destroy all copies of the program and of the documentation. 7) Ed Obeda reserves the right to make any changes to the Software at any time without notice. Ed Obeda reserves the right to terminate this license if there is a violation of its terms or default of the Original Purchaser. Upon termination for any reason, all copies of the Software must be immediately destroyed, and the Original Purchaser shall be liable for any and all damages suffered as a result of the violation or default. The Software and Documentation are provided with RESTRICTED RIGHTS. Use, duplication, or disclosure by the U.S. Government is subject to restrictions set forth in subdivision (b)(3)(ii) of The Rights in Technical Data and Computer Software clause at 252.227.7013. This agreement shall be construed, interpreted and governed by the laws of the State of California, United States of America. Shareware is copyrighted software which is distributed by authors through bulletin boards, on-line services, disk vendors, and copies passed among friends. It is commercial software that you are allowed to try before you pay for it. This makes shareware the ultimate in money back guarantees. Most money back guarantees work like this: you pay for the product and then have some period of time to try it out and see whether or not you like it. If you don't like it or find that it doesn't do that you need, you return it and you get your money back. Some software companies won't even let you try their product because in order to qualify for a refund, the diskette envelope must have an unbroken seal. With Shareware you get to try it for a reasonable limited time (like 30 days), without spending a penny. You are able to use the software on your own system(s), in your own special work environment, with no sales people looking over your shoulder. If you decide not to continue using it, you throw it away and forget all about it. No paperwork, phone calls, or correspondence to waste your valuable time. If you do continue using it, then - and only then - do you pay for it. Shareware is a distribution method, not a type of software. Shareware is produced by accomplished programmers, just like retail software. There is good and bad shareware, just as there is good and bad retail software. The primary difference between shareware and retail software is that with shareware you know if it's good or bad before you pay for it. As a software user, you benefit because you get to use the software to determine whether it meets your needs before you pay for it, and authors benefit because they are able to get their products into your hands without the hundreds of thousands of dollars in expenses it takes to launch a traditional retail software product. There are many programs on the market today that would never have become available without the shareware marketing method. The shareware system and the continued availability of quality shareware products depend on your willingness to register and pay for the shareware you use. It's the registration fees you pay which allow us to support and continue to develop our products. Please show your support for shareware by registering those programs you actually use and by passing them on to others. Shareware is kept alive by your support ! While Microsoft developed many different language versions of WinWord, they have not allowed an easy way for the programmer of Macros ( and other WordBasic utilities ) to install and work on these multi-lingual systems. I am very interested in developing foreign language versions of the FAX Support System, but require some additional information prior to accomplishing the task. Basically, each foreign language version of WinWord uses a different (foreign) name for each action. While this is very important for the users, it did not allow for the installation of the same macro across multi-languages systems. The Text sting that appears on the Menu to print a document. A sample print out of a macro from your own version of WinWord would also help, incase Microsoft has changed some of the basic command names as well. a) Corrected problems with the un-install routines. b) Improved the documentation of the product. c) Added the DocCruiseSYMBOL 228 \f "Symbol" features to the documentation. e) Notifies user if FilePrintOLD not created. f) Un-Install routine made more robust and added support for other templates. a) Corrected MAJOR installation problem. Version 2.0Feb 3, 1993First release of Shareware version. versionusing the new Microsoft "print range" dialog box. Microsoft and the Microsoft Logo are registered trademarks, and Windows is a trademark of Microsoft Corporation. WINFAX and Delrina are trademarks of Delrina Technology Inc.
Other brands and product names are trademarks/ tradenames of their respective owners.